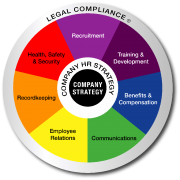 Communications Archives - strategic HR inc.
Special thanks to Dan Ripberger with RSC Advisory Group, LLC for sharing this article. RSC Advisory Group, LLC is a management advisory and consulting firm specializing in pay and performance. The RSC team has worked with clients in a multitude of market sectors and geographic areas. Their current client base includes household-name corporations, internationally known tax-exempt organizations, healthcare systems, as well as smaller, forward-thinking organizations. Their work has spanned start ups, high-performing organizations and those going through re-invention – all who need advice and guidance specific to their situation. For questions or additional information, contact Dan Ripberger at dan.ripberger@rscadvisorygroup.com. New Year’s Resolution: Make Life Happen! With the beginning of a new year, reflecting on the previous year’s accomplishments and challenges, let’s us get set for a fresh start for 2018. As I was reflecting on 2017 myself, I ran across my notes from a very inspirational keynote at my son’s college graduation at Mount St. Joseph University by Wendy Lea, CEO at Cintrifuse. …keep your windows open and wind in your face by saying yes to new opportunities. As we begin a new year and another chapter in your life, don’t forget to be in control and make your life happen rather than waiting for it to happen. Make this the year that you benefit from the opportunity in front of you. What goals are you going to set for yourself for your New Year’s Resolution? I’d love to hear. Robin Throckmorton, MA, SPHR, SCP is the President at strategic HR inc. If you have any questions or would like to share your comments, contact Robin@strategicHRinc.com. By Cathleen Snyder with strategic HR inc.
For many of us, the holidays bring times when we spend additional time with family that we might not normally spend. This can present joys as well as challenges. After the Thanksgiving holiday, several on our team were talking about some “interesting” interactions we may have had with some family members. Complaining or “quirks” (generously labelled) were often mentioned. With this, I can’t help but think about my own approach to life in general. What do others think of me, after I’ve left the room? Do I add significantly more positive than negative? Am I the one that others have to tolerate? While the holiday season may shine a spotlight from a family perspective, these issues also impact the work environment. How do my behaviors impact my work environment? Do I leave others feeling positive and uplifted, or down and negative? Recently, in a company staff meeting, I did a presentation based upon Erika Oliver’s book, “Happy Crap”. She is an amazing, energetic speaker that I would highly recommend. Erika offers some wonderful insights of how the choices we make can impact daily life. We choose our thoughts, and our responses to certain prompts and situations. The quality of our thoughts, negative or positive, determines the quality of our experience and our lives. As we go through life, the choices we make reflect assumptions we make regarding people, things and situations. Further, these assumptions impact how I feel, talk and act. According to Oliver, we have between 40,000 and 60,000 thoughts per day. Of those, 80% are negative! When we choose negative assumptions, i.e. traffic will be bad, I’m going to get yelled at, my customer will never be happy, this can’t help but impact how we approach our day. It has been proven that the overall workplace attitudes impact the results of the business. Oliver says, if the prevailing attitude is negative, an announcement of a drop in revenue is met with doom. Conversely, a workplace that has a prevailing positive attitude is more likely to approach such news from a perspective of “what’s not working, and how can we fix it?” An overall sense of optimism, in the face of bad news, will help the team pull together and overcome these challenges. A positive or negative attitude can also impact Creativity, Competition, and Retention. Bottom line, we have a choice. The quality of our thinking does make a difference. Our own actions, positive or negative, affect others’ attitudes and actions. Negative thoughts impair problem solving and communication skills. A positive approach to a problem will inherently result in others being more willing to help. Positive thinking is linked to decreasing depression, improving communication, enhanced creativity, increasing happiness, even losing weight. We can change the choices we make, although it may not be easy at first. We may need to, literally, reprogram our responses. It may be uncomfortable, but realize it’s worth the effort when we consider how it impacts others. Don’t get me wrong, no one expects that every day will be roses, unicorns and rainbows. We simply need to do enough to tip the balance to the positive. For some of us, this may mean reprogramming our default response to lean more positive than negative. I encourage each of you to take a minute to do an honest self-assessment – How am I perceived by others? Do I have a positive impact on others around me and my work environment? Anything less than a resounding “Yes!” means there is some work to do. Oliver, E. (2011). Happy Crap. Portage: In The Affirmative Publishing. Cathleen Snyder is the Director of Client Relations at strategic HR inc. If you have any questions or would like to share your comments, contact Cathleen@strategicHRinc.com. After Linda got past the clerk’s appearance herself, she noticed the excellent job of customer service he was doing. The customer in front of her was traveling and forgot his razor blades. He had about five different packages in his hands and was asking the clerk if he could recommend one. The clerk gave him information about the razorblades he, or someone he knew, had experience with and was amazingly knowledgeable and helpful. If we’re purchasing a product or service, we want quality assistance; that is, someone who is courteous, prompt and knowledgeable. It’s really not so important about what the service provider looks like physically, as long as he or she is clean and groomed. The population of the U.S. today encompasses some interesting demographics, with teenagers having a larger purchasing power than ever before. People in their 70’s and 80’s are living longer and healthier lives and are still using goods and services once considered the provence of much younger people. Some older Americans elect (or are forced) to work after age 65, so they could very likely have customers and supervisors 40 to 50 years younger than themselves. Is it any wonder, then, that a potential for misunderstanding is high?! We have to remember that different factors affect each generation’s world view. As Morris Massey has commented in The People Puzzle, who we are as adults is affected by the influences we had as we were growing up. The values of our parents, members of the “Radio Baby” generation, differ from the values of our generation, the “Baby Boomers”. The older generation remembers still the impact of the Great Depression in the U.S. in the early 1930’s are likely to save and pay cash, even for large ticket items like cars. The “Boomer” generation is more likely to buy now and pay later, with plastic. Regardless of our age, we can’t assume that customers all think like we do and want what we want. There is definitely some common ground across generations when it comes to customer service ideals. Between 1999-2002, Linda interviewed 500 people in each of the four generations in today’s workforce: people born between 1930-45; those born between 1946-64; people born between 1965-1976; and those born between 1977-97. Interview participants overwhelmingly said that being treated with respect is a primary need. “Respect” may take on different forms, but people across all four age groups said that they want to be heard, regardless of whether the listener agrees with their point of view. For those of you that have watched any of The Survivor shows, you know that incidents that drove castaways to opposite corners most often occurred when one individual or group automatically tuned the other out. This “talk to the hand” response builds a barrier quicker than any other form of communication. Just like learning another language such as French, each generation needs to learn others’ language to communicate effectively. Tina was getting gorgeous in a local beauty shop owned by a Baby Boomer entrepreneur. The entrepreneur believes in hiring younger beauticians and providing them with an opportunity to learn and develop their skills. The owner is task oriented and wants to stay on schedule – that’s her way of being customer oriented. The younger beautician spends time with each customer, trying to put the customer at ease with relaxed conversation. This is causing a clash between the owner and employee. Both women believe they’re providing “customer service”, yet their idea of what customer service looks like is different. The young beautician feels the boss is too rigid and controlling when she gets annoyed at her “take your time” style. The boss believes the younger woman’s work ethic is lacking. Who’s right? We think it depends on the customer….each unique customer….as to what constitutes “excellent customer service.” There’s a time (and customers) for which each style is appropriate. Clearly, an organization’s leadership must listen to its customers and potential customers. When customers say on a survey that they want “quality”, dig deeper. What exactly does “quality” mean? The more education that different age groups have about each other, the better equipped they’ll be to respond to customer needs regardless of age….theirs or the customers’. Dr. Linda Gravett, PhD, SPHR is with Gravett & Associates (www.Gravett.com). If you have any questions or wish to share your comments, please feel free to contact Linda at Linda@Gravett.com or Tina Macon at Tina@allmachhr.com. HRIS Software – What Does “Determine Your Needs” Mean? If you have read any articles on selecting an HRIS, HRMS or HR software programs, they all say you first have to determine your needs. The phrase is used so often it’s almost a cliche. I am not saying that people who say this are wrong; far from it. I am just amazed at how little depth is behind the words. Determining your needs for a human resource program is extremely important and it’s no easy task. In order to find a system matching your needs, you need to be as detailed as possible with creating them. The better the job you do on this step of the process, the more successful you will be with your final decision. Why is determining needs so important for HR Software? In my research, there are over 60 US or Canada based companies that offer an HRIS or HRMS software application. If we include human resource outsourcing and service bureau companies in this list, you might very well be talking about over two or three hundred companies. Your job with determining your needs, as I see it, is to narrow this list from several hundred companies to a handful and then, following your evaluations and research, find the system that offers the closest match to your needs, requirements and budget. When you look at “determining your needs” in this way, it sure sounds like more than a simple cliche. As someone who has sold HR information systems for more than fifteen years, my first meeting with a prospect was to determine what their needs were for an HRIS application. Most had something written down but rarely provided enough detail. Following, is a typical needs list from one of my customers. Does this list look familiar? I am willing to bet that this list is very similar to your own. I’m going to let you in on a little industry secret. All of the vendors who have sold HR software systems have heard this exact list of needs hundreds, if not thousands, of times before. So it’s not surprising that almost all of them offer these exact capabilities. Some meet each need easier or in greater detail but on the surface they meet all of these capabilities. Your list of sixty HRIS vendors is still pretty much at sixty vendors. Going to an HR software vendor with the list above is sort of like going to a car dealership and saying you want a car with an engine, seats, four tires, and that runs on gas. They all do it. So how do we narrow down the list? Step One – Determine if you are looking for hosted HRIS solutions or in-house HRIS programs. Actually, under hosted HRIS there are really two options, subscription and hosted HRIS. Subscription Service solutions (also referred to SaaS or PEPM) are sometimes referred to as multi-tenanted, as many companies share a system that has been configured for general use. The software and the data reside on servers in a secure facility, managed by the Vendor, where you access it from a Web browser. These solutions do not require IT support on your part. They usually require a set-up fee and you typically subscribe to this service on a month-to-month basis based on your employee population for a minimum term. Licensed/Purchased solutions are sometimes referred to as In-House or On-Premise solutions. You pay a one-time license fee and your IT department installs and maintains the solution on your hardware using your network. Licensed software is configured to your particular needs. There are implementation fees to set up the software. Ongoing annual Support fees are a percentage of the original license cost. Licensed/Hosted solutions are the same as Licensed/Purchased with the software being configured to your particular needs. The difference is, however, the Vendor hosts your software in its secure facility and provides the back office I.T. support. There are still implementation and Support fees. There is usually no minimum term as you own a license. Step Two – How much money do you have to spend? HR software varies widely in price. You need to determine how much budget money you have to spend before arriving at your short list of vendors to review. You will waste your time if you have People Soft needs on a Microsoft Excel budget. Determining how much you can spend is, not surprisingly, a little tricky. With the hosted or subscription vendors you are going to spend less up front but so much per month or per payroll cycle. In this case, you would need to find out how much you can spend per month or year. With a licensed in house application, most of your investment will be up front but you will have annual support costs going forward. Even with licensed options, you can spread the payments over a period of time by leasing the software. Step Three – Increase your HRIS or HRMS IQ. Before deciding exactly what capabilities you are looking for with an HR software application, it’s obviously important to understand what your options are. Clay C. Scroggin has over fifteen years experience in the human resources software industry. Clay is President and Owner of CompareHRIS.com, a web site dedicated to assisting HR professionals with their search, selection, implementation and use of HR systems. CompareHRIS.com offers an extremely comprehensive HRIS selection tool to assist you with your HRIS, HRMS, or Human Resources software selection process. Make sure to download CompareHRIS.com‘s free HR and Payroll Software Buyer’s Guide. No, I’m not talking about the pseudo-meat product sold in square, little blue cans that has a cult following. I’m talking about the electronic kind. The one defined as ”sending multiple, sometimes thousands, of unwelcome messages to a newsgroup or mailing list to promote a commercial product or website” or simply defined as “unsolicited junk email.” It has been estimated that SPAM mail constitutes twenty-two percent of all active email on the web and sometimes I feel like I’m getting ALL twenty-two percent! But can it be avoided? In today’s world of electronic communication it is literally impossible to circumvent SPAM, both the receipt of it AND sending it. Yes, I said sending it, because at one time or another we have all been guilty, to some degree, of sending SPAM whether or not it was realized or intentional. Take recruiting and reaching out to passive candidates. Passive recruiting requires getting the attention of the already-employed and providing them information about a job opportunity. Sometimes you have to send unsolicited email to reach those candidates, and yes, that unsolicited email can be considered SPAM. It seems unavoidable, as recruiting in the Web 2.0 era requires the use of “push” tactics versus “pull”. Pull tactics, the method of “pulling” candidates to your website to share with them information, is no longer considered the effective method for using the Web. Today’s savvy Web user is more apt to respond to “pushing”. This involves “pushing” the information you want to share out to candidates (or others) via RSS feeds, blogs and texting. Today’s Web user no longer wants to hunt and peck for information, they want it instantly. As an aside, it’s important to note that among email marketers, the definition of SPAM and what is deemed appropriate email marketing is also in contention. Marketing professionals are having a difficult time defining acceptable email marketing campaigns and distinguishing them from unsolicited email (and many have given up trying). Since SPAM is often defined by the perception of the recipient, potentially anything is SPAM. While I don’t want to advocate sending SPAM, I do realize that as an HR professional there are times that sending unsolicited email is a must. And I have decided that in today’s revised Web World there is SPAM and then there is SPAM! As a recruiter I have to contact candidates with seemingly unsolicited email, but I also keep in mind that these candidates are looking for a job and I have a job to offer. When I do send unsolicited email I make sure that my email identifies my purpose, mentions how I received their contact information and is to the point and appropriate. I also provide the opportunity for the recipient to contact me for more information or simply to let me know that there are not interested in my offer. Which is more than I can say for some of the unsolicited email that I’ve been getting lately. Debbie Hatke, MA, PHR is a Senior Human Resources Management Consultant with Strategic Human Resources, Inc. (www.strategicHRinc.com) If you have questions or comments about this article, you can contact Debbie at Debbie@strategicHRinc.com. The first issue or question is, Why do you want a website? Many individuals will say to me — “I need a website” or “I wish I had a website.” Like strategic planning, your website begins with web planning including answering this key question — “Why?” Some sample answers include: a quick referral to your marketing materials, expanding your client base globally, automating your processes or services, improving communications with others, selling products, or just because it is the thing to do. I’m not saying any reason is right or wrong but you need to know why you want or need a site before you begin. It will take a great deal of time to get started and maintain, and only you can justify the time and costs relative to this reason. Next, you need to identify a domain name. If you have already gone through the process of developing a name for your organization and registering it with your state, you’ve experienced this process. It’s not easy and you don’t always get what you want. If you haven’t determined a company name yet and registered it with the state, you’ll need to but I would actually suggest you start with the domain name because it is more limited. As you think of a name, you will want something that is simple and easy to remember; otherwise, you’ll lose customers who can’t remember the address without looking it up. Plus, you’ll want the name to support your brand identity, which will make it even easier for customers to remember as well as potential customers to find you during a search. There are many resources you can use to search for and buy a domain name. You buy the name for a year (or more if you want the commitment) with the option to renew before it expires. The cost is about $35/year. Some common vendors that I have used are Register or Network Solutions. Be sure there isn’t another domain name very similar to yours. For example, my website is www.strategicHRinc.com which I chose even though there is another organization in another state that has www.strategicHR.com. It has caused some confusion for my business and theirs but I wanted my domain name to be similar to my business to maintain an identity. If the name you want isn’t available, consider alternatives that may be close. And, yes, I would recommend “.com” if at all possible. It is what individuals think of first! But, don’t hesitate to go ahead and buy the other extensions (i.e. org, net, biz) to preserve your identity. One option that you do have but I wouldn’t recommend it long-term is to secure a domain name that is a folder of an Internet Service Provider (i.e. www.GCIS.net/StrategicHR rather than www.StrategicHRinc.com). Generally, there is no fee to register the name and your monthly web-hosting fee will be cheaper. But, for brand identity and to demonstrate the stability of your business, I would not recommend this short cut. Now you are ready to identify a web designer. I have no “favorites” which is why I design my own website. If you decide to do it yourself, you can consider using basic web design packages like FrontPage and/or take classes in HTML (i.e. New Horizons). If your time is limited, I would suggest you hire someone to do these type of business necessities that aren’t your expertise. You have a number of resources available: a high school or college student, your Internet provider or web host, the webmaster of a site you like, domain firms (Register, Network Solutions) or a “web design” firm. The cost will vary depending on which individual or organization you use and what you need done. Don’t make a commitment until you have done your homework on their expertise, sample work, expected outcomes, time frames, and customer feedback. Whether you do the site yourself or use an expert, the typical process you can expect to follow includes: identifying a web host; conducting a needs assessment, designing the layout, deciding what to include, piloting, and going live. This is another service you’ll need beyond your current Internet Provider. As you consider your options, be sure to ask questions such as what is their level of support, the reliability or down time of their servers, reporting capabilities so you can track statistics on your visitors, how long have they been in business, and what do their customers say. For the past five years, I have used a local provider www.GCIS.net and have been extremely happy with them. You can also check with your Internet Provider. Sometimes they will offer you discounted or free web-hosting services. For comparison purposes, the general cost of your web hosting is paid on a monthly basis and can range from $8/month – $150/month with an average around $35/month. The actual cost will depend on the provider, the services you need, and the size of your website. As with any project, it is important to conduct a needs assessment. As we discussed above, be sure you are very clear on why you are developing a website — what will be the purpose of your website. Next, you will want to determine who will be your target audience and what they need. Plus, you’ll need to decide what look or feel you want as well as what content you will include. You may find it helpful to gather information from your customers, peers, and/or business advisors through surveys or an evaluation of past requests. The design of your website is as critical as the content you will include. Definitely begin by creating and finalizing your design and then loading your content. Your design should support your company’s brand identity. I’ve found this to be the hardest part of the entire process and would recommend you use a web or graphic designer to help you unless you are extremely creative and software savvy. If you have a vision or idea of what you want, share it early with the designer. If you need help getting ideas for a vision or look, search the Internet and make notes of sites you like and why (i.e. color, layout, logo, buttons, home page, etc.) and share that with the designer. There is some very basic information that I would recommend every site include. First, you’ll need to include key information such as your company name, a business description, and the key words that describe your business. At a minimum, you’ll want this on your home page but you may want to figure out a creative way to have it on all pages. Second, you will want an “About Us” page that provides details about your business including a business description (skills, services), information about the individuals in your organization, a picture to help personalize the site, and a customer list including feedback from your customers. Also, be sure to include a “Contact Us” page that includes all your contact information (How many websites have you been on when you couldn’t find this information anywhere?) as well as a way for someone to request you contact him or her. “The Sky” or Cyberspace is the limit for what you can include on your site. One common tool you could include is links to other resources that your visitors may find beneficial. Plus, if you can get other sites to agree to adding your website as a link on their site, it will increase your rating in the search engines. Another excellent resource to add to your site is an archive of articles you have written. It provides the visitor with “free” information and demonstrates your expertise. When you are ready, you can begin offering products and services through your website. The key is to think what will draw individuals to your site AND what will get them back! For example, I host an HR JobShop on my website which includes postings of individuals looking for jobs as well as listings of job opportunities posted by employers — FREE. Finally, as you decide what to include, you’ll need to decide if you are going to write the content yourself or hire an expert. Don’t depend on the web designer to create or edit your content unless they have a specialty in that area. Before you launch your site for the entire cyber audience, be sure you pilot it. This may require the designer to setup a website where you can test it under password protection. Check and recheck all the links, forms, grammar, and spelling. Plus, be sure the content makes sense and flows naturally from one page to another. To get a fresh perspective, ask others to demo your site to provide you feedback on content, design, and errors before it goes live. Check how the site looks with different browsers (Internet Explorer 5.0, 5.5, 6.0 and Netscape). You will be surprised how the site “look” and “feel” will change including the navigation buttons. Also, be sure to check the site using different monitors, colors will vary. The last thing you want is to launch the site and find problems that may have lost visitors for you. Now, you are ready to go live…well, almost! As you probably have already realized, this isn’t going to be a small task that you do one Saturday morning. For me, it has been worth the time because it has given my name and business more exposure. I always say folks need to hear my name twice and then THEY CALL ME. So this is one marketing tool that I use to make that happen. But a successful website requires some technical know-how, immediate response to requests, constantly updating of the site, and always be looking for other ideas to improve the services and resources of the site to attract visitors and keep them coming back. Remember earlier when I disagreed with the concept of “Build it and they will come…” Well now, we have addressed many of the upfront issues and built the website. But, they still won’t flock to our site like they did to Kevin Costner’s baseball field. Your next task will be to begin marketing the website which is discussed in another article, “Marketing Your Website”. Robin Throckmorton, MA, SPHR, a Senior Human Resources Management Consultant is President of Strategic Human Resources, Inc. (www.strategicHRinc.com) and can be reached at Robin@strategicHRinc.com. Have you heard all of the buzz about social networking? Think it’s a “fad” that will soon go away? Think again! According to technology experts, online social networks (such as MySpace, FaceBook and LinkedIn) will soon be as ubiquitous as regular websites and many heavy hitters (like Cisco) are aiming to create tools to let everyone from ordinary people to large corporations create social websites tailored to their own customers, employees and friends. So what is “it”? Internet-based social networking sites provide services that allow its users to create online profiles that spotlight their interests and help them connect with others who share their same interests. Many are purely social, such as MySpace and Facebook which are among the top visited networking sites on the Web. They are known for their relatively young audiences of teenagers and college students who share video clips and more about their personal lives (the 18-25 year old crowd, although users of ANY age can be found there). You may recall hearing stories of would-be employers searching these social networking sites for information about candidates prior to hiring them for employment. These two sites are the behemoths of the social networking world. According to ComScore.com, in June of this year MySpace attracted more than 114 million global visitors to its site – a 72% increase over the same time last year – and gets over 72,000 visitors monthly. By comparison Facebook jumped 270% over last year to 52.2 million visitors and logs over 22,000 visitors each month. But let’s talk business. LinkedIn is a social network targeted towards business users. It’s a bit smaller than its social networking siblings, but serves a niche market of executives and corporate decision makers that makes it a must-have tool in a recruiter’s toolbox (the typical user is 35-45 years of age, but not limited to that age range). To understand LinkedIn (LI) think of the game “Six Degrees of Kevin Bacon”; a game based on the concept of the “small world phenomenon” where you link actor Kevin Bacon to other actors by no more than six connections (two actors are “connected” if they have been in a movie together). If you are familiar with this concept of “six degrees of separation” then you will understand LI. Started in 2003, LI’s “membership” boasts over 11 million users and in the last year traffic at LI grew by 323% and continues to rise. Providing a more focused product of business networking, LI connects members based on their profile which includes information on current and previous employers, education, professional affiliations and other interests. You can search LI for members with similar attributes to your own or, for recruiting purposes, search for members who fit a characteristic you are looking to find (job title, educational degree or locale). As a member of LI you are linked to other members through invitation – you can ask someone to join your network as well as be invited by others who may find your profile interesting. Your “relationships” to other members are primary, secondary, tertiary and so on, and can number in the hundred-thousands (or higher). Primary contacts are those that link directly to you. Subsequent links are those who are “linked” to you via a relationship with one of your primary links. For example, Kevin Bacon is a primary link to me, but I am also linked (secondarily) to Tom Cruise via his link with Kevin. It is through linkages that you amass your network and have access to millions of professionals on a global scale. Membership in LI is free, but with limited access; as with many other online services, premium service that allows you more functionality comes at a price. Other similar business social networking services include Ryze, Spoke and Jigsaw. So why use LI? Passive candidates are the key to a successful recruiting plan. It’s no longer enough to let applicants come to you or to post a job online and hope for a response. Recruiters now have to search out passive candidates to fill their jobs and LI can be a great source of untapped passive candidates. Another key use for LI is to attract diverse candidates. As extolled in the book Bridging The Generation Gap, by Linda Gravett and Robin Throckmorton, members of the generation X and Y groups are less traditional in their job searches. More technically savvy, these job hunters don’t utilize typical recruiting resources such as print media. According to Hitwise US, in July 2007, 31.3% of the traffic to LI came from the 25-34 year old age group – which makes LI a prime resource for a company looking to add generation X and Y candidates to their recruiting pool. In addition to sourcing candidates, LI can be used to connect with other professionals – need an HR consultant…just check LI. Hoping to find another great candidate from Company X…check LI. Having trouble contacting a candidate’s references…look for them on LI. So how do you use LI? First you must start with yourself. Creating a profile in LI is fairly simple. If you haven’t already been invited to join LI, go to LinkedIn and click on “join now” and set up your profile. Make sure you profile contains numerous key words to help others find you. You’ll need to be as specific and detailed as possible. Fill in all the profile information – it may seem tedious and unnecessary as you are just getting started, but the more information you provide the easier it will be for others to find you and link to you – and that’s the point. After you have a fairly rich profile, start adding links. These can be colleagues, former employees, relatives and friends – anyone with whom you’ve shared a connection. You can search for these individual using LI’s search function or your Outlook contacts file (LI will conveniently searches it for you). If they are not members of LI, you can send them an invite to join you. All they need to do is complete a free profile. As you build your network you’ll be amazed at the total number of links you have made. You may not immediately think LI is a good networking tool for you. It takes some cultivating to get it to a useful state, but as you become more familiar with LI’s functionality and start adding to your network the opportunities for its use become more apparent and adding to your links can become addicting. Give it a try – it’s free and may prove to be one of the most useful tools you have in your arsenal of creative sourcing. Debbie Hatke, MA, PHR is a Human Resources Management Consultant with Strategic Human Resources, Inc. (www.strategicHRinc.com) If you have questions or comments about this article, you can contact Debbie at Debbie@strategicHRinc.com. I believe that a key to building a bridge across generations is knowledge. This knowledge can take the form of information about world events that have shaped each generation’s worldview and facts to dispel myths and stereotypes about age groups other than our own. In The People Puzzle, Morris Massey proposes an interesting premise. He suggests that most people are, to some degree, shaped by events that occurred around them, as they were children and young adults. For Baby Boomers, for example, who are “Children of the 60’s”, the Vietnam War; Robert F. Kennedy; and Woodstock bring forth potent memories. Mr. Massey doesn’t suggest, nor do I, that everyone born in 1955 moves in lock-step formation…just that this cohort witnessed similar events that inform their ideas and approach to life. Smith and Clurman’s book, Rocking the Ages, analyzes how Boomers, Radio Babies, and Gen X’ers view everyday cultural phenomenon from differing perspectives. Radio Babies, born between 1930-45, were often part of a nuclear family that consisted of grandparents, mom and dad, and siblings. Baby Boomers, born between 1946-64, were often part of a nuclear family that included mom and dad and siblings. Gen X”rs, on the other hand, now in their 20” and 30’s, might have been raised with mom or dad and stepbrothers and stepsisters from previous marriages. So the notion of “who should be covered under dependent care insurance” may vary across the generations! Radio Babies were born or were small children during the Great Depression in the early 1930’s. During their formative years, the value of money and a secure job were reinforced. Consequently, for many in the workforce from this generation, getting a job – and keeping a job – are extremely important. The concept of changing jobs, much less careers, every two or three years is a strange one. Baby Boomers were born into a time of relative prosperity in the U.S., when their fathers might have been coming home from World War II or The Korean War. Many Boomers’ parents taught them to work hard, “pay their dues” and aspire towards a nice home in the suburbs, a high-paying job, and a good education. Boomers rode a wave of success into the mid 1980’s, when downsizing and layoffs awaited many who had been loyal, one-company employees. Gen X’ers watched as their mothers went to work and they became “latchkey children.” Gen X’ers watched as their parents or their friends’ parents divorced and remarried. Gen X’ers watched as their parents lost their jobs. It’s not a surprise, then, that so many of this generation either want to be entrepreneurs or want to find careers that provide a balance between work and family life. We have a fourth generation entering the workforce: Generation Y. These are people born between 1977-85, so the first wave is out of college or vocational school and is in the job market. Over the past five years, I’ve conducted personal interviews with 1,500 Gen Y’ers. When I asked them their expectations in the world of work, the comments I heard most often were: “We’re not whiners like Generation X – we’re do’ers.” And “So the world needs some repairs…we’re up to the challenge.” This is a technologically talented generation that’s ready and eager to make its mark. The implication for Human Resource professionals is clear: one size doesn’t fit all when selecting recruiting, development, and retention practices that will appeal to four generations. The Classifieds were at one time the definitive place to run ads for open positions. Gen X’ers are Gen Y’ers aren’t reading these ads…unless they’re colorful, succinct ads with bullets, charts, and even cartoons. Gen X’ers I’ve interviewed browse the Internet to look for ads or to review company web sites. If they spot classified ads in the newspaper, they’re in the “Food” or “Sports” section. As you’re developing options in your organization, consider ways to tailor them to the four generations. Gen X’ers are interested in concierge services and flextime; Boomers are likely to be more interested in long-term care insurance and sabbaticals. Training and development can serve as a recruiting tool for the 20-somethings but can also retain 40-somethings that want to shore up their experience with current technology. In this tight labor market, the skills, knowledge and abilities of all employees – regardless of age, are critical to our organizations’ success. Dr. Linda Gravett is with Gravett & Associates (www.Gravett.com). If you have questions or wish to share your comments with her, you can contact Linda at Linda@Gravett.com. Communication: What’s the Best Way? As a 55 year old seasoned manager of marketing for a highly successful advertising company walks into work, he strolls by the office of a younger account representative who is already in her office. He says, “Good morning, Chelsea.” But, as she does each morning, Chelsea barely lifts her head from her computer to say hello. However, when the manager gets to his desk, he finds the typical email from her filled with questions and comments that she has managed to type all in the time it took him to walk from her office to his. This is the type of communication challenges that our workforce is experiencing everyday given the different communication styles of each of the generations in the workplace. Is one generation’s style more correct than another? Is there one communication style that is better than another? It depends…on the people you work with, the clients you interact with and the culture of your company. Radio Babies grew up with the least amount of technology, which makes it no surprise that they reported that they prefer to communicate face-to-face about problems, concerns and suggestions. Their second option for communication might be a phone call; however, they get very frustrated when they call someone and continually get a recording – or worse yet, no return phone call. Baby Boomers are the largest generation, which means they are use to having lots of people around. Their preferred mode of communication is to have meetings – lots of meetings – to tackle problems and concerns. Consensus building is important for many Boomers, and face-to-face discussion is their preferred way to make this happen. A conference phone call is a second option, as long as everyone has an opportunity to participate. Gen Xers tend to value time and have grown up with more technology than the previous two generations. As such, they reported that they tend to prefer to communicate via email because it’s efficient and in-the-moment; they don’t like to waste time or energy. Meetings are for rare occasions when no other option is available, and you may even find them checking their email or sending emails to others while sitting in a meeting. Gen Y’s have always been surrounded by technology, that’s all they know, and are always plugged in with lots of options. They don’t really see a need to answer the phone because it is much quicker and easier to shoot off an email or better yet a text message. They’re accustomed to multitasking, so Instant Messaging them is fine too. The Millennials are the newest generation to enter the workforce; so we have the least amount of research available about them. In fact, some sociologists actually group the Gen Ys and Millennials together as one generation; however, we feel there is a huge enough difference between the older Gen Ys and even the older Millennials that they need to be separated. From the initial research that we’ve done, we’ve found the Millennial generation definitely has a strong preference for communicating via text messaging and Instant Messaging. However, if that doesn’t work, they prefer face-to-face. We’ve even witnessed conversations via texting (perhaps an argument) that are taking place almost as though they are in another world and then the follow-up face-to-face conversations (where all is fine) are completely different as though the text conversations never happened. As you can imagine, with these different preferences, many conflicts can erupt if someone doesn’t take the initiative to address them and accommodate the other individual. As common sense would suggest, your best solution for dealing with a co-worker, boss, or subordinate would be to approach them and ask what their preferred mode of communication would be and share your preferred style. If you find they are different, discuss how you can find ways to accommodate each other. Perhaps you can determine certain situations when your way works and other scenarios when their preferred way will work. You may even learn from each other that in some situations it is easier to use the other individual’s preferred communication style with ease. Be sure you are actively listening whether in a group or one-on-one session. Too many times, I’ve observed individuals, especially from different generations, disengaged in conversations. Their eyes are wandering and their non-verbals clearly show they are not paying attention to the person talking. I’ve seen this from both older and younger workers. Active listening is not only a sign of respect, but it will help you improve your communication, understanding, and ultimately minimize your conflict. Engage everyone in the conversation. Someone younger has a great deal to offer, including fresh new perspectives that you may not have even thought about. And someone older has typically “been there” and “done that” and you can benefit from the expertise and experience they bring. You need diverse perspectives in conversations to help round them out. Use this diversity and don’t discount anyone’s ideas. Keep your conversations focused so you don’t drift off and make a mistaken comment such as “you probably don’t understand because you’re too old/too young”, “you may not know about this because it is before your time…”, or, “I have grand-kids older than you…” These types of comments only create friction and don’t foster cooperation, and certainly not “love”. Don’t always assume that the most senior person should lead the discussion or project. If you are working on a team, don’t hesitate to let a younger team member take the lead. The older team member may not want to be the leader…again; been there and done that. And, the younger team member may want the leadership experience and appreciate some mentoring. Overall, the biggest key we’ve found to solving generational issues comes down to RESPECT. And, respect applies to communication issues as well. Remember to respect that others may communicate differently than you; that doesn’t mean that your way is no longer the best or right way – neither is best or right. The “right” communication method is the one that is most effective for all the groups involved – and it may mean using multiple methods of communicating. Learn from each other and help each grow from the experiences you can share with one another. Robin Throckmorton, MA, SPHR is President of Strategic Human Resources, Inc. (www.strategicHRinc.com). If you have questions or comments on this article, you can contact Robin at Robin@strategicHRinc.com. Communication, communication, communication. Why is it that that word haunts many organizations? Anderson Consulting Group estimated in a 2001 survey that 82% of organizations conducting an employee satisfaction survey listed communication in the bottom fourth of satisfactory responses. As I breathe a sigh of relief in finding that statistic, I was relieved to learn that I was not alone. My reaction to the news that my organization received a “significantly needs improvement” rating in terms of organizational communication is probably not surprising to many of you. Upon receiving those results, my mind raced. What else can human resources do to improve communications? We have a monthly newsletter! We have bulletin boards full of information! We have an Intranet updated weekly! We send out messages on our payroll check stubs! Our supervisors/managers are communicating at the weekly team meetings! Our senior management has quarterly town meetings! We just conducted open enrollment meetings for benefits! What else could we possibly do? My “ah-ha” moment came early one evening. “Take care of the sense and the sounds will take care of themselves” says the Duchess. As I watched Alice in Wonderland with my daughter, these comments to Alice reminded me of the survey and our score (or lack there of) in communication. It reminded me how quickly our best intended efforts may be lost in the communication itself. Email, Intranet, Internet, newsletters, web conferences, conference calls, all resourceful uses for communication that may ultimately be sabotaging our best intended communications. It wasn’t really the amount of communication disseminated; it was how we were doing it. “Take care of the sense”, the Duchess’ reminder to pay attention to the message and all else will follow became my communication mantra. I began to tackle communication and looked at the three ‘musts’ in effective communication: the right messenger, the right message, the right way. Using the appropriate tools and appropriate channels opened the door for communication success and ensuring that the I took care of the “sense”. A considerable amount of research has pointed to the significance of a supervisor’s communications to his or her employees. Often the most trusted source of information and the most reliable source of answers to urgent questions, supervisors can have a major impact on employee focus and morale, especially during times of transition and change. Be sure you are using this valuable resource appropriately and be sure that your supervisors have training in effective communications. We don’t ask our supervisors to supervise without support, don’t ask them to deliver important messages without support. Finally, be sure you are using the right messenger. Supervisors are important in communication but there are times when they are not the appropriate source of the communication. Review the message being delivered and determine who would be best to deliver it. Consider all of the sources: human resources, payroll, senior management, and other staff and use your best judgment in where the message should originate. As I looked at the messengers I was using, I felt that in most cases I was relying heavily on my supervisors but questioned whether or not the message was being communicated correctly. Remember the three parts of effective communication: the right messenger, with the right message, the right way. I was relying on this group of people to serve as the right messenger in most cases but began to realize that they may not be effective in delivering the right message. Was what I wanted to have communicated actually getting communicated the same way it was delivered to the supervisor? Remember the childhood game, “telephone”? Telling a story to one person, who tells it to another, who tells it to another….and in the end the story becomes quite the tale! We have all played it once or twice, if not as a child, as an adult in a communications class to remind us of all that can go wrong. As a human resources professional or manager do we think about that effect when we attempt to communicate? Are you comfortable that the message you give to Supervisor #1, is effectively communicated ‘down the line’. Do you even know what it sounds like by the time it gets to Employee Z? Take the time to ensure the message is clearly communicated and that all questions are answered to avoid misunderstandings. Spend the time on the front end to ensure that by the time Employee Z gets the message, it is the same that was communicated to Supervisor #1. To do this, you may wish to customize a tool for the communicator’s use. When using others to deliver your message, remember each has their own style. Helping them to communicate the message appropriately with information and tools will help to avoid a bad case of “telephone”. Also, recognize if your chosen messenger is not effective in delivering messages, do not use them. Deliver the message yourself or find another method of delivery. A 1999 Watson Consulting Survey showed that employees preferred face to face communication rather than memos, newsletters, or other written communication. Impossible you say? Well, I must agree, to a degree. As we all are trying to do more with less, spending more time with face to face communication may seem next to impossible. But remember that for each small step today, the communication gap will shrink and it will continue to get easier and actually quicker. Of course, there are times when it is important to get the message in writing as well but one does not preclude you from delivering it in more than one way. One of the most successful steps I took in “taking care of the senses” was to force myself to spend 15 to 20 minutes every morning to walk through the workplace and make myself accessible to staff. These 15 minutes of face time, greeting employees, answering employee questions directly, and face to face interaction appear to have made all the difference in the world. Rumors are stopped quickly, accurate answers are given immediately, and employees put a daily face on Human Resources, not just a face behind the desk and at important meetings. I was effective in making communication a priority and employees saw that. As with my daily walkarounds, I showed employees that I was committed to being available and encouraging face to face interaction. Communication is important all year, not just with high-profile projects. Make sure they see that coming from human resources. Finally, one cannot talk effectively about communication without bringing up the lost art of listening. I remind everyone to listen to your employees, to your supervisors, to everyone. What is working, what isn’t working? Are you hearing comments about that ridiculous email that went out about privacy in the workplace? Was it an appropriate means of delivery? Foster an open dialogue. Participate in brown bag lunches with no topic to open up lines of communication. For something less formal, be sure to go to the cafeteria or lunch area and sit with staff for lunch – don’t hide in your office to get more work done. You will be amazed at what you learn during a thirty minute lunch break. Listening, is a very important part of effective communication. Communication is truly, going back to the basics. In looking at how far the human resources function has come, I am reminded that no matter how brilliant the department’s strategic thinking or how technologically advanced, unless the basic HR needs of the organization is satisfied we cannot be effective as a strategic partner. It’s time to get back to the basics to become a full member of the organizational team. Think back to The Duchess, “Take care of the sense and the sounds will take care of themselves”. When we communicate effectively, we build bridges to understand how, what, and why we do things – and that is why we are all here.